Alexandre Da Silva, from Brazil, was awarded his Cuisine Diploma in 2015. On his return to Rio de Janeiro he began an outside catering and events company. Alexandre told us he had been greatly inspired by his former Chefs at Le Cordon Bleu Institute Paris and continues to learn more about his profession every day. Kitchen has always been my passion since my childhood, I always found it magical to be in the kitchen especially with my grandmother, I learned a lot with her. Unfortunately I didn’t have the opportunity to start early in this field. By the time back in 2006 when I entered college, it was still rare to find the universities and institutes of gastronomy here in Brazil. So I needed to wait a for a while for my dream come true and in 2014 I was ready to leave left everything to follow my dream. I was more than sure that Le Cordon Bleu was the most respected and reputable institution to achieve my dream to become a cuisine chef. What is your favourite memory from your adventure at Le Cordon Bleu Paris institute? There are so many memories, it was the best moments in my life! I have two, first of course is live in Paris, most respect center of culinary in the world and secondly it was the diversity of the students in the institute, people from all over the world . Being part of a multicultural environment is amazing. Now I have friends in many parts of the world and I still communicateing with most of them. Now I feel part of a big family of chefs spread around the world. 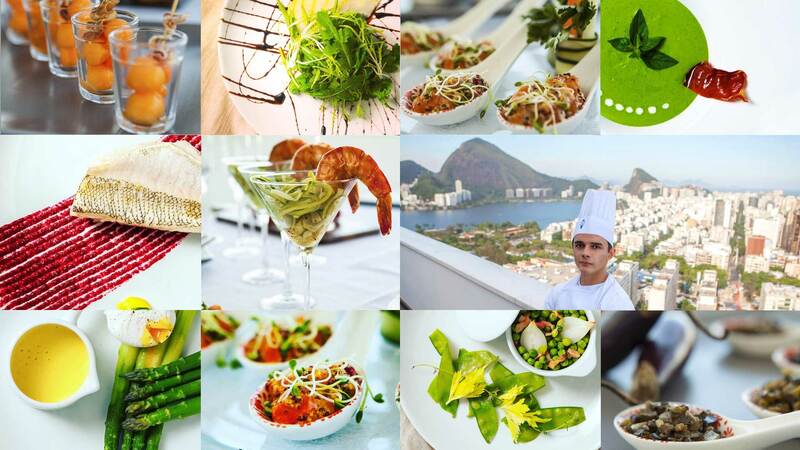 Since my return in 2015 I have been exclusively dedicated to open my company of catering and private events – http://chef-alexandre.com, I always had a plan to achieve my independence at work and I knew that the market for private chef services was not much explored here in Rio de Janeiro, I saw an opportunity. Don’t go so fast - enjoy every moment in the class, in the end you’ll realize everything happened so fast that makes you want go back in the time. My advice is to enjoy each lesson as if it were the last one, and make the Chefs your best friend, they are your guide. They are going to show you the best way to succeed, be patient and never forget ''the chef is always right ''. Many of them are still my inspiration. Could you describe your new life? Now, I’m back in my city, Rio de Janeiro. I'm managing my company of catering and private events. I provide dinners, parties partires, and events in the general. I have today a team with specialists and professional in events working with me. We’re bringing high quality service in catering for our customers. Le Cordon Bleu gave to me the best knowledge in French cuisine. Everyday my job is a new routine and of course a captivating new challenge, some days I have attended a family of 6 people and in other days I had events up to 200 people, my work now goes beyond from the kitchen I also have the responsibility to manage people and this is something I do with a lot of passion, sharing your goal with others is wonderful. I never feel bored in my new work routine. Continue to still develop my catering company, I received new projects and new clients every week. As well as for my future I am planning to open my own restaurant, but this for now I can’t say much, I am just waiting for the right time. And of course still learning about food and cooking, the kitchen is a magical world each day I learn something new, my curiosity will never sleep.